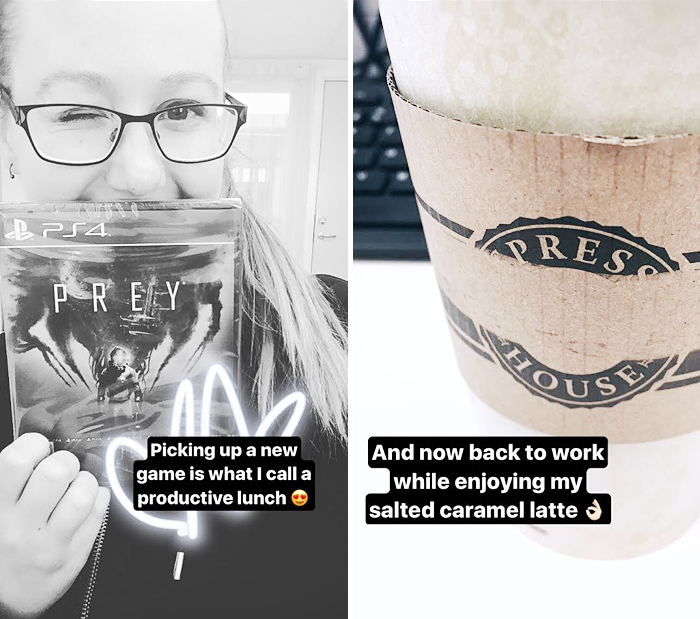 I've been using Instagram Stories more and more, I update that more often than my actual feed (that I need to get back on track on *nervous laugh*). So I figured why not share them in the blog? 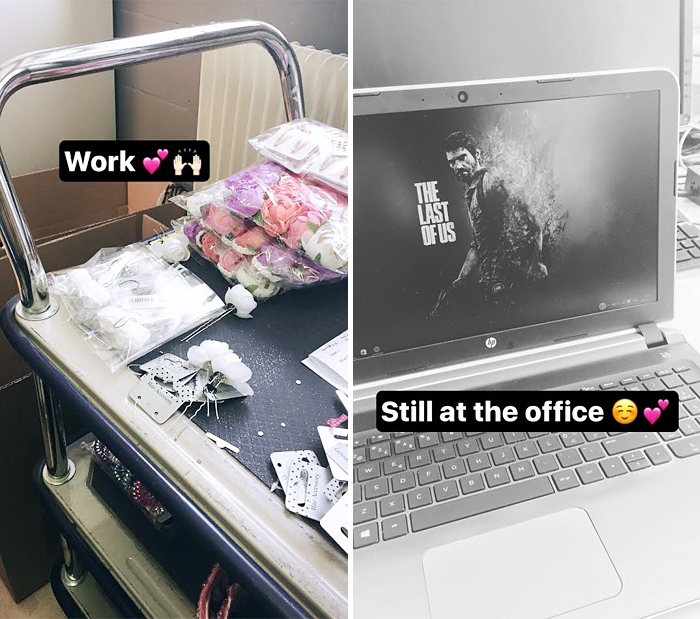 Great and fun way to save them since they go away from Instagram after 24 hours and at the same time I let you get a sneak peek into my day-to-day life. 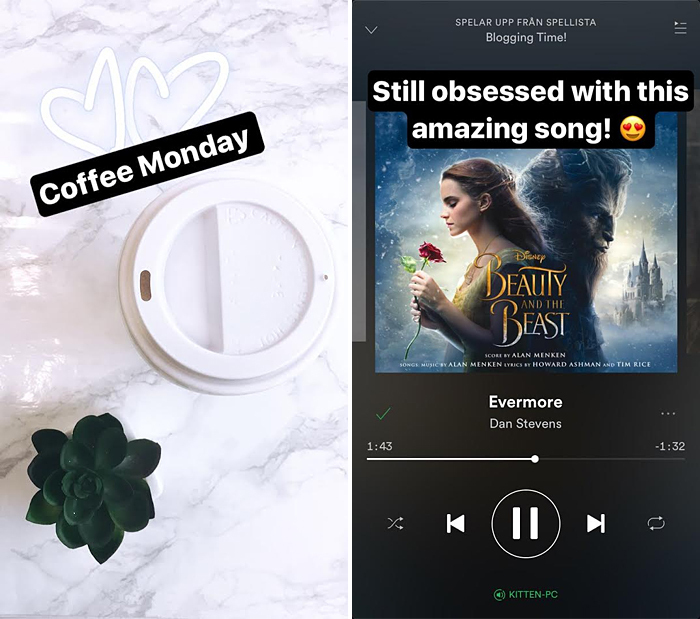 Coffee Monday @TheOfffice and I am still obsessed with that damn amazing song. Love a good sing-a-long with it! What is daily life with a little nerd happiness? NOTHING! 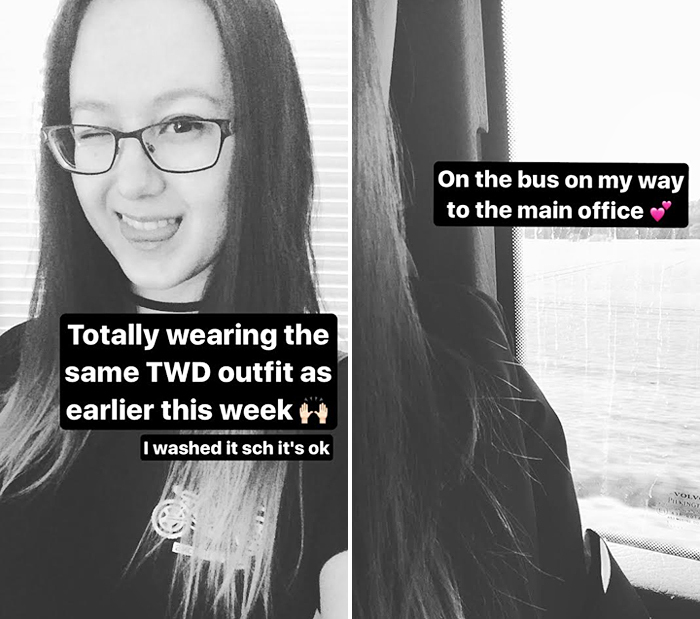 My new oversized TWD tee arrived that I bought on Ali Express a few weeks ago. The weather picked up a bit after a whole lot of rain...and snow. Spring needs to get here and stay, now. 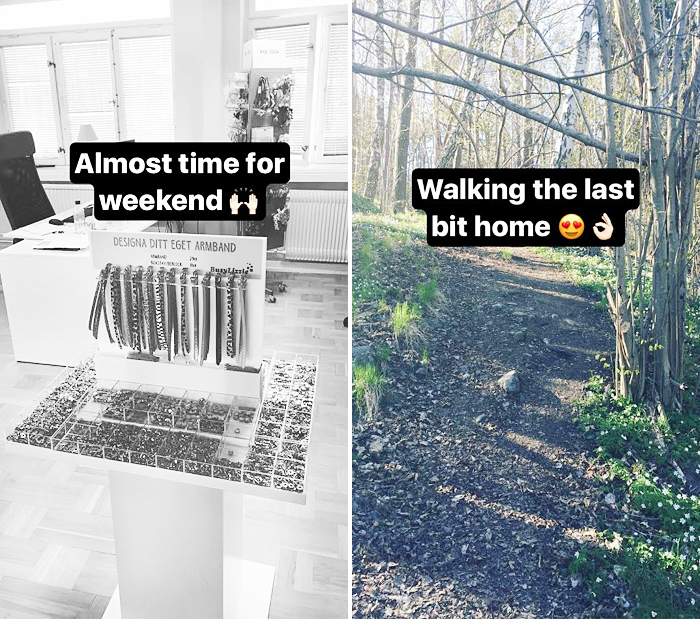 I went to our main office in Eskilstuna last week which was super fun! The plan is to make it happen more often and I don't mind the 1 ½ hour bus ride there at all. It's badass for both the motivation and health wise to work with the team IRL. 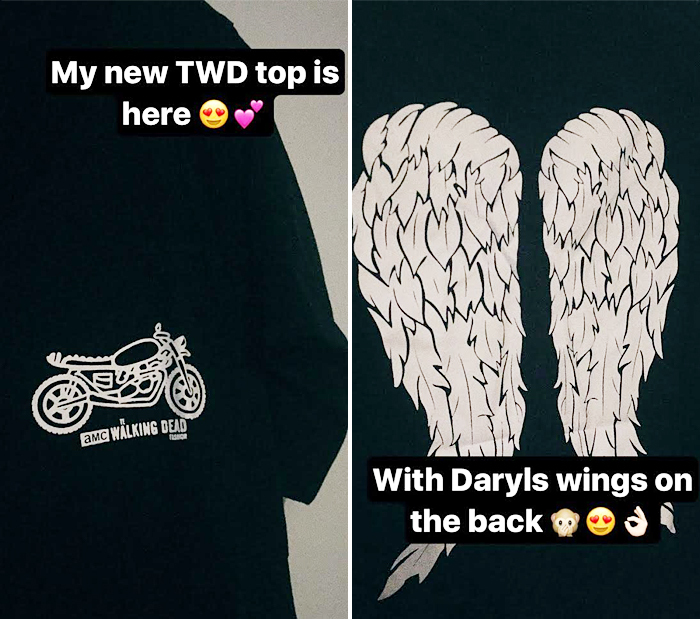 I am obsessed with my new TWD tee fyi it's so damn comfy! Once I arrived I spent most of the day prepping orders to help out with the order load. Worked a bit later than normal but ended the day with sushi night and girl talk with the co-worker I stayed with over the night, it was super nice! Fri-Yay in Eskilstuna! I said goodbye to the crew that was still around before jumping on the bus home where I decided to get off a few stops earlier and walk home. 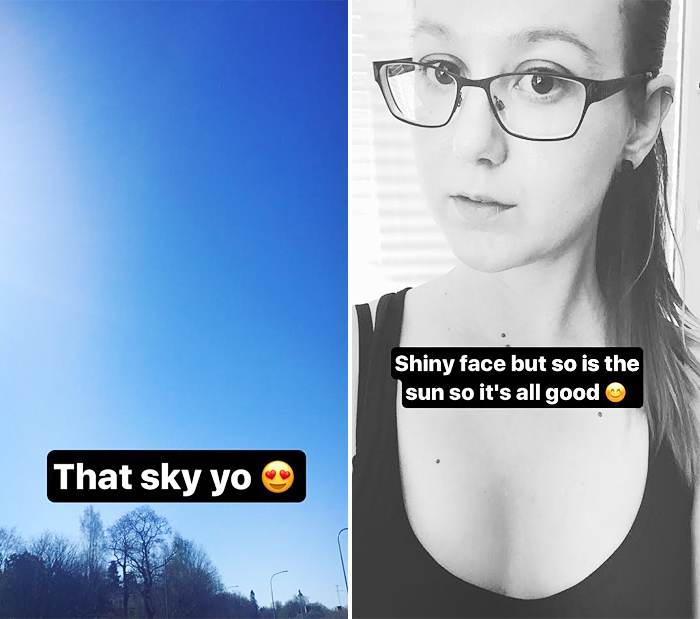 It was so warm and amazing out! When my sister called asking if I wanted to join in on some grocery shopping I said yes. Because I needed food and also I had two packages waiting for me to pick them up. 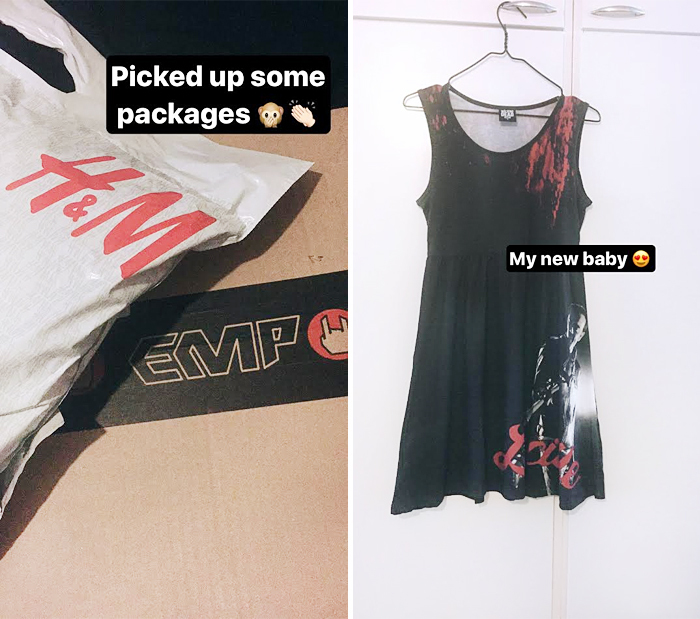 One containing my new Negan dress. I am in love with this dress, I want to marry this dress. Yes, just yes. I work at a computer 99,9% of the time. And I also have my work place at an office so when it's time for lunch I try to at least take a walk after I've eaten and also run a few errands if needed since I have my office in town. This day it was a nerdy errand in the form of finally picking up Prey that came out last week. And of course a little Treat Yo Self happiness.